Ernie de Villa has a moniker, Bahi. Bahi is a kind of wood descriptive of its solidity approximating marble. Even a coconut tree when it is 100 years old can turn into a bahi. We in Quezon call it Kamagong. The proud Mabolo tree is a good source of Kamagong. Furniture made from Kamagong can last centuries. Bahi can therefore mean a durable guy. The word durable was once used by Heherson Alvarez when he described a local politician who has been around in Quezon politics for decades. Ernie Bahi is a retired Makati policeman. He is a certified Batangueno, counting his provenance in San Juan, Batangas. Ernie is stocky, above average height, fair skinned, and in his youth, has a hint of a movie star air. He said he was expelled a number of times in High School. Finally he graduated from Nueva Caceres in Naga after seven years in that level. Right after graduation, he went to San Juan, Rizal and was recruited in the police force by Mayor Ibuna, the penultimate predecessor of Erap. When Erap got elected, Ernie and the new San Juan top honcho could not get along well. Ernie decided to transfer in Makati, then also part of the Province of Rizal, courtesy of his godfather who was related to Mayor Estrella. In Makati, Ernie coasted along sharpening his skills as a cop in the traffic division. There was a carousel of mayors. Until finally, Mesiong Yabut was elected Makati local chief executive. Yabut took a fancy on the good looking Ernie Bahi. In the long stretch of Yabut’s watch, Bahi entrenched himself within the local police. At that time, cops have territorial mentality, a resurgence of the post-war territorial war reminiscent of Asiong Salonga of Tondo. This time, it was the policemen who control the territory. 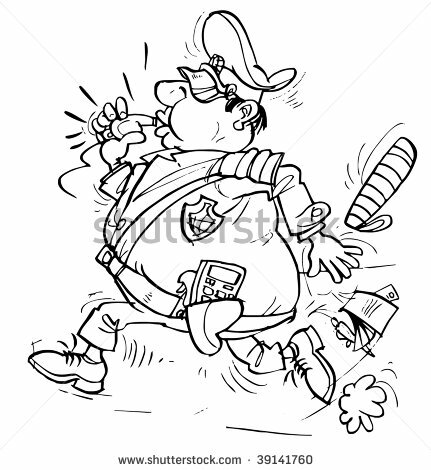 Hot pursuit was seldom availed of by pursuing policemen. Once a suspect sets foot in another town or city in the once known as Greater Manila, it was proceed at your own risk. Bahi ruled it over in Makati. No suspect can ever be apprehended without clearing any police operation with him. At one time, Manila’s Finest buttonholed a notorious fugitive near the famed Cash & Carry. Bahi intervened, snatching the suspect away from the custody of the Manila policemen. While there was protestation and levelled assault M16s towards Bahi’s direction, the arresting team deferred to him, the latter bringing with him half of the Makati police. The brave warriors from Manila retreated, prudence being the better part of gunpowder. Of course Bahi had some occasions of breaking the rules. He was forthwith re-assigned at the traffic division managing vehicular flow in the intersection of Highway 54 and Ayala Avenue. In retaliation to his seeming demotion, all he did was to apprehend residents of Forbes Park and those who dropped the names of the police officer who caused his banishment. Residents of Forbes Park made a beeline at LTO redeeming their confiscated licenses at the same time cussing the good Mayor of Makati. Bahi was soon pulled out of traffic and assigned in General Assignment where he made connections and, naturally, hay for the rainy days. At GAss, his leadership was tested. He became the president of a Makati police foundation. He sent the orphans of his fallen comrades to college or assured their education. He assisted the widows to move on economically. His stint saw the accumulation of P2M into the foundation’s coffers. A Chinese friend of Bahi was arrested by Immigration agents in InterCon Hotel and along the way made to cough off millions of pesos in exchange of dropping the case. Just like in the movies, Bahi chased the arresting agents along Buendia. Upon reaching the boundary of San Isidro and Palanan, the BI agents’ car was sandwiched by two of Bahi’s vehicles exactly atop the railroad track. The BI agents were shaken and pleaded to turn right towards SouthSuper Highway, or be run over by an oncoming train which horn was too audible from a distance. Bahi’s friend was unshackled and turned over to him. To this day, the Chinaman was forever grateful to Bahi. In exchange and as an expression of gratitude, all the lavatories, wash bowls and plumbing fixtures of Bahi’ s house in the suburb which was under construction at that time was thru the courtesy of his rescued friend. Whenever his team conducted raids in drug pushers’ or bank robbers’ lairs, he had a lawyer-friend who prepared blank deeds of conveyance of all imaginable properties and bank accounts including the wives or girlfriends of their quarries. When asked why include the significant others of the criminal, Bahi had a ready answer for that, “eh ang papangit nitong mga mokong na ito. Kung hindi dahil sa pera galing sa drugs o holdap hindi nila makukuha ang kagagandang iyan. Hala hakutin yan!” Besides, he said grinning: “these are the fruits or instruments of their crimes!” His legal counsel normally settled for the inamoratas of the felons as success fee. In one rainy July day of 1982, Bahi and his bevy of police escorts were called by the then Makati Mayor Yabut. He never saw Yabut at his angriest. The old man was cussing in Kapampangan, his narrative interspersed with tanaydamos. As Bahi pieced it, the Mayor was apparently slapped by the half-brother of Marcos, Delfin Cueto, FM’s dead ringer. Cueto had the reputation of being the presidential hitman. He stalked Dovie Beams in Hong Kong when she threatened to spill the contents of her tape recorder containing the coital back and forth of Beams and her lover, Cueto’s half-brother. Bahi also heard similar stories of manhandling by Cueto. Even Kokoy Romualdez, based on anecdotes, was given a palm by the loose relations. Imelda was furious. So did Hizzoner of Makati. Before long, Cueto and a companion Ramon Sy Lai were found dead behind the Manila Inter Continental Hotel. Bahi was later involved in a fierce inheritance case among the heirs of a rich Chinese couple from Binondo. The case came to a head with the death of Eugene Tan, counsel of one of the heirs, and no less than the President of the Integrated Bar of the Philippines. Now a suspect himself, he escaped to the US to lie low. With a non-bailable case hanging on his head, he asked his local lawyer to assist his other co-accused who were exonerated one after the other. With him as the remaining respondent, he came home and faced the charges. He was eventually acquitted. his personal ties with Leandro Mendoza, a top honcho of GMA, helped him. Since he was not discharged from the service, he was reinstated. Bahi was able to retire honourably. With a green card tacked in his wallet, he divides his time equally between Makati and Salt Lake City where he maintains a lucrative car exchange business. Once in a while he brings in used high-end Mercedes Benzes, BMWs, Volvos or Jaguars. In his retirement, he enjoys the company of his loyal lieutenants, Rambo, Ban and Nick, the retired members of Makati Highway Patrol. I guess every policeman has his own alias capturing his famous exploits or flops.